Mackie lives right up the street from Kaiser Los Angeles where her dad works as an administrator. She loves coming to work to see her dad and all of the great patients in that facility. 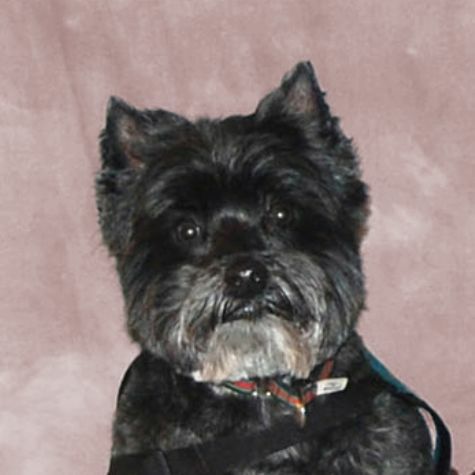 Mackie is a Cairn terrier, like Toto from "The Wizard of Oz," and she once won a Toto-look-alike contest at the Hollywood Bowl. She loves to cuddle and eat treats, which is probably why volunteering with LO4P is her favorite thing to do in the world as it combines both of those activities so perfectly!